French is a key international language, native to France, Belgium, Switzerland, Canada and the French Caribbean, and an official language in much of Africa and Asia. Dream of a career that sees you changing not just your future but the future of a nation? Want to boost your career with a second language that's spoken in over 29 countries? Then choose to study a degree in Politics and French at the University of Southampton and open the doors to a host of exciting careers in the UK and across the globe. Graduates can go onto pursue careers in teaching, translating, government and business. As a language student you will be allocated to a stage of language proficiency in our unique system of seven language levels. This is designed to place you at the stage most appropriate to develop your spoken and written skills, enabling you to make rapid progress in French. In all years of study you will benefit from our wide range of resources. You will use the excellent facilities in the Centre for Language Study and in our French Resources Room, including extensive multimedia facilities and online resources. 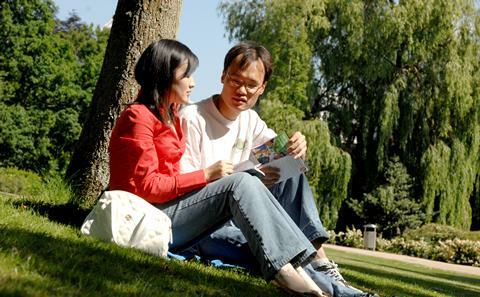 The third year is spent in a French-speaking country which offers you a unique opportunity to enhance your linguistic and cultural proficiency. You can spend your year abroad as an English language assistant in a school, studying at one of our partner universities or on a work placement. Most students of French go to France , however, some students have also stayed in Switzerland or Belgium, whilst others go further to Canada, Guadaloupe, Martinique or La Réunion. Our current French-speaking partner universities are Paris, Grenoble, Aix-en-Provence, Strasbourg, Angers, Lille, Geneva, Mons. While abroad you will also conduct an investigative project, supervised by a tutor at Southampton. The final year leaves you with a large range of options in both subjects, taking into full account that you may wish to specialise in an area that most suits your interests and combines well with what you have studied so far. This includes the option of completing dissertation in Modern Languages. In years two and four you will have the opportunity to concentrate on your own particular interests, selecting from a range of more specialised modules. Employability is embedded into the course modules from the first year onwards, right from the first lecture. We offer a number of optional employability modules.